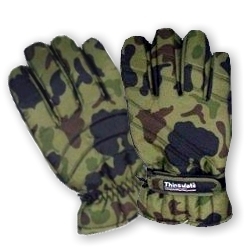 This military glove make for winter military use and available in different camouflage of military including the olive, sage green, etc. The cloth for this type of glove recommend by the military departments and also suggest textured of camouflage. This fabric polyester cotton mix and the windproof lining make it waterproof and good seal against cool wind.